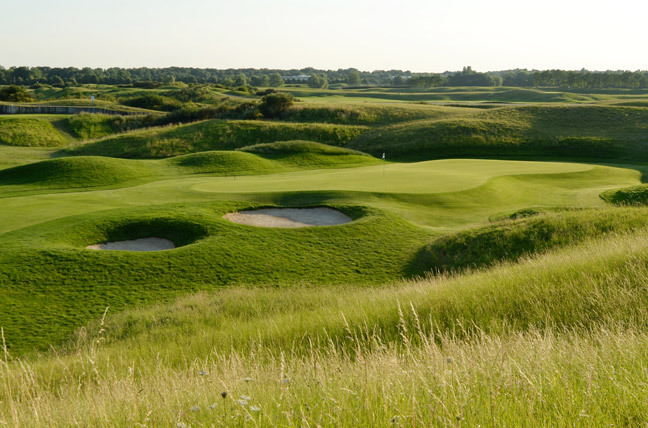 Fly directly to the 2018 Ryder Cup course in Paris. You can fly to Golf National from any UK location, as a guide, a flight from central London is only 90 minutes, with complimentary English sparkling wine from Hambledon Vineyard and light in-flight catering. Our Operations Team will arrange everything for you, call them on 0125 663 5000 or use the form below. Why not Play the Course this Weekend? Why let the experts to tell you what it is like? 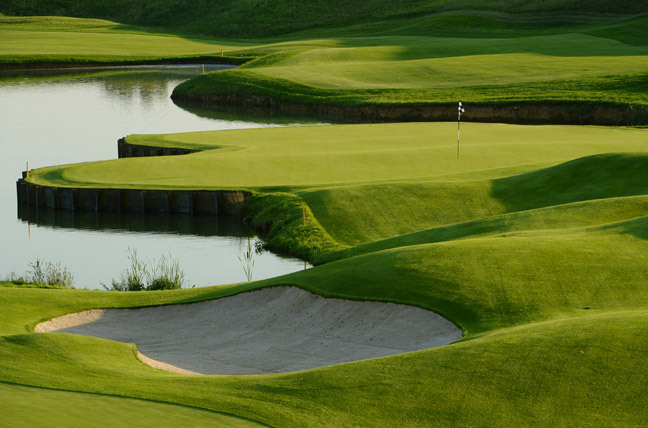 Book a flight to Paris, have a round of golf and lunch in a day. 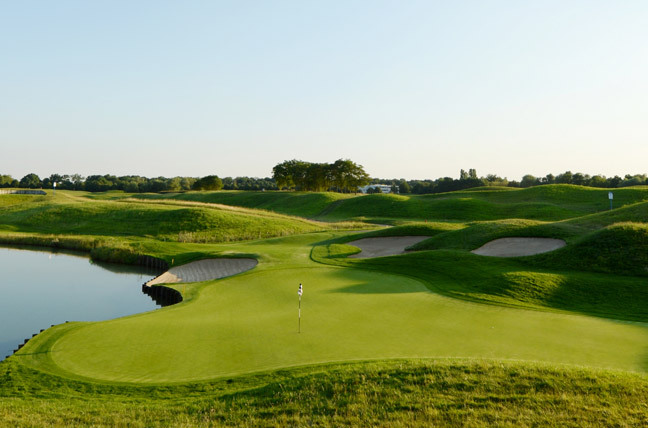 A flight for four players can leave London at 8am, arrive that Le Golf National by 9:30. Play the 18 holes, have a fine lunch and return to the capital before 5pm! You don’t have to leave from London, anywhere in the UK is possible, but flight times will vary. 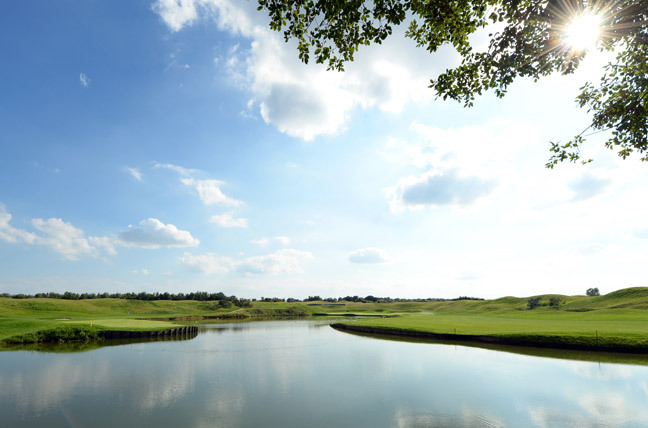 You can find out more about Le Golf National here: www.golf-national.com/en/ and if you want to play the course before 2018 we can help! Call the friendly Atlas Operations team and they can organise a golfing trip and flight for you. 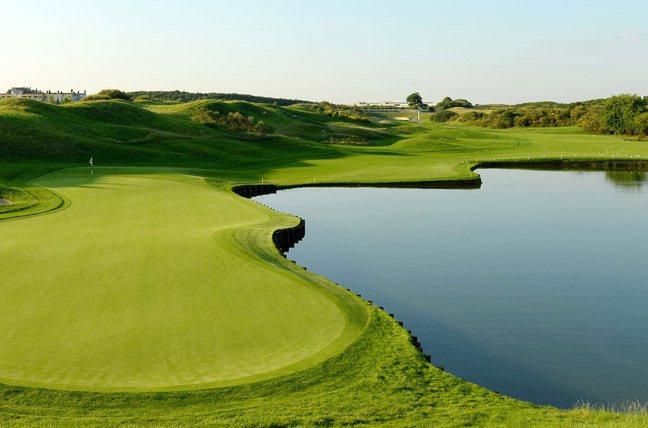 As you can see the Le Golf National in France is an epic course and one which has caught the eye of many professional golfers. Designed by the architects Hubert Chesneau and Robert Von Hagge in collaboration with Pierre Thevenin the ‘Albatross’ and has a capacity of 80,000 spectators. It is a par 72 and totals 7315 yards in length. The course was opened on 5th October in 1990. The first time the Ryder Cup was held on the Continent was Spain in 1997, for 2018 onward the European PGA tour has decided that the host should be put out to competitive tendering. In 2022 the tournament will be held in Italy. If you are curious about the cost use this form below and get an instant estimate for a flight to Paris.